Create your own Canon imageCLASS MF8050Cn color toner pack / bundle with our flexible quantity discount pricing. Mix and match products so you are only purchasing what you need, but also maximizing your savings. Remanufactured Cyan Toner Cartridge with 1,500 page yield. Equivalent to Canon part number(s): 1979B001AA, 116 Cyan, 812326. Fits the following model(s): Canon MF8050, Canon MF8050Cn. Remanufactured Magenta Toner Cartridge with 1,500 page yield. 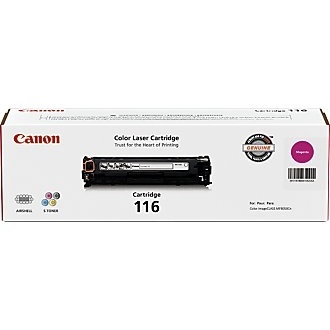 Equivalent to Canon part number(s): 1978B001AA, 116 Magenta, 812324. Fits the following model(s): Canon MF8050, Canon MF8050Cn. Remanufactured Yellow Toner Cartridge with 1,500 page yield. Equivalent to Canon part number(s): 1977B001AA, 116 Yellow, 812323. Fits the following model(s): Canon MF8050, Canon MF8050Cn. Remanufactured Black Toner Cartridge with 2,300 page yield. Equivalent to Canon part number(s): 1980B001AA, 116 Black, 812309. Fits the following model(s): Canon MF8050, Canon MF8050Cn. Buy our high quality compatible toner for Canon imageCLASS MF8050Cn with confidence. Join thousands of happy customers who have found our compatible products are equivalent in page yield and print quality. For our compatible products, we offer a 100% Satisfaction Guarantee allowing you to return products within 6 months if you are unsatisfied. 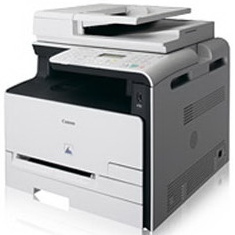 If you need reliability in your color laser printer, you might want to consider the Canon imageCLASS MF8050cn. Weighing 52 pounds with each Canon toner cartridge, it will be a little heavy to lift, but its size of 17x19.1z16.9 will be easy to place nearly anywhere around your home. It is also compatible with Windows and Mac operating systems, can connect via USB and has networking capabilities. The best thing about this machine, though, has to be its all-in-one features—it can print, scan, copy and fax up to 30,000 pages each month. Four Canon MF8050cn toner cartridges are needed in this laser printer, and they are filled with black, cyan, yellow and magenta printer toner. When using the black imageCLASS MF8050cn toner, you can reach resolutions of 600x600 dpi, and with the color toners you can reach 2400x600 dpi. Consumers who have used the Canon MF8050cn have a lot of positive things to say about it. First of all, people love its easy setup and ease of use. They find it to be reliable and durable, and its small footprint gets high reviews from users constantly. The high quality of printed documents is a major plus, according to consumers, and its speeds are also an upside. One thing buyers tend to disagree on, though, are the prices of the Canon MF8050cn toner cartridges, which are much more expensive than Canon ink cartridges. While some find the cost of maintenance on this machine to be too expensive, others find the toners to be very affordable. 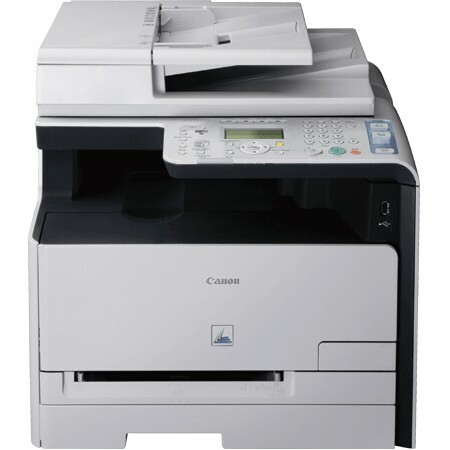 For those who think the imageCLASS MF8050cn toner is too expensive, remanufactured versions are available. These will save you loads of money, while still maintaining the same high quality and resolutions as the OEM or manufacturer's printer toner. Worried it won't last as long? You shouldn't—Canon MF8050cn toner has the same page yields as the OEM, meaning they are just as good, if not better, than the original version.